The way America was – northern Idaho – the true “gem of the mountains”. Thinking of retiring to Idaho? Good choice. 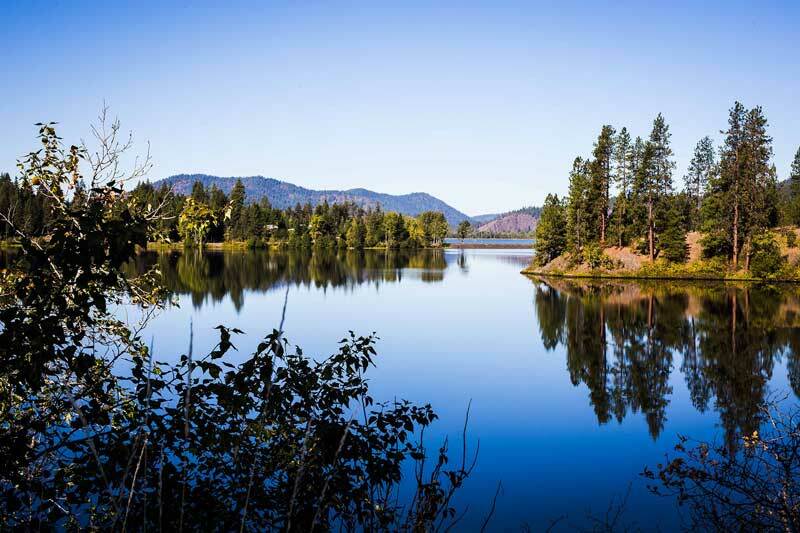 More and more active retirees are adding quality to their life by selecting northern Idaho as their home. Four seasons, fresh air, clean water, un-crowded – this is the magnet that drew our forefathers and might now be drawing you. St. Maries is amidst this sylvan paradise – cradled within the arms of majestic mountains, surrounded by lakes and rivers and towering forests, and bordered by the fertile Palouse farming area. Winter snow and the smell of wood smoke, summer days and the sound of gentle breezes through the pines – every where you turn satisfies a hidden yearning. Add to that, our low taxes, first-rate medical facilities and the best outdoor recreation opportunities in America, and you’ll begin to realize why we cherish our home amidst the pines, firs and pungent cedars. INCLUDING A SOFTBALL COMPLEX OWNED BY THE ADULT SOFTBALL ASSOCIATION, COMPLEMENT OTHER RECREATION ACTIVITIES. 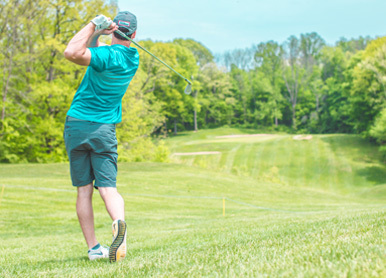 THE CITY’S PARKS, SWIMMING POOL AND TENNIS COURTS COMPLEMENT THE LOCAL BOWLING ALLEY TO PROVIDE RESIDENTS WITH COMPLETE RECREATIONAL FACILITIES. 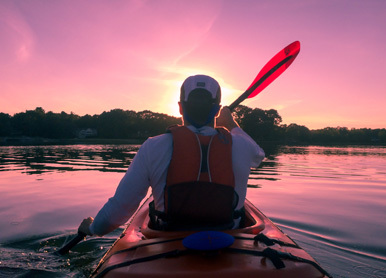 Our recreational offerings run the entire gamut – from leisurely walks along the tranquil waters of the St. Joe River, to nature walks at nearby Heyburn Park, or the more challenging Marble Creek walking trail system. Family bicycle rides along the Hiawatha Rail Trail (training wheels for the grand-kids are okay) or inner-tube floats down the Shadowy St. Joe or St. Maries River. Any age, any interest – Enjoy! 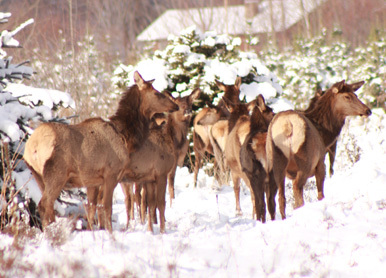 There’ s summer fishing and fall hunting – one of America’s largest elk herd resides nearby. Duck, turkey, pheasant, grouse and geese abound for the bird hunter. Add to this the hundreds of miles of accessible groomed snow mobile trails – and you have a full year. Join the many bird watchers from throughout the northwest who find our area a source of satisfaction for their hobby. White swan, blue heron, osprey and eagle – The nations largest concentration of nesting birds is located seven miles away. Or you can just sit on the patio and watch the hummingbirds feed. 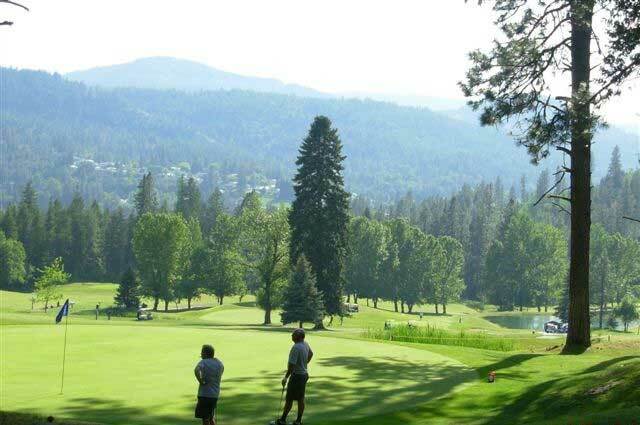 The metropolitan area of Spokane-Coeur d’Alene is less than an hour drive away from St. Maries. Spokane, the largest city between Minneapolis and Seattle, is home to Fairchild Air Force Base. The Base offers a full range of services to active and retired military personnel, including medical, commissary and space-available travel opportunities. Nearby is the Spokane International Airport. 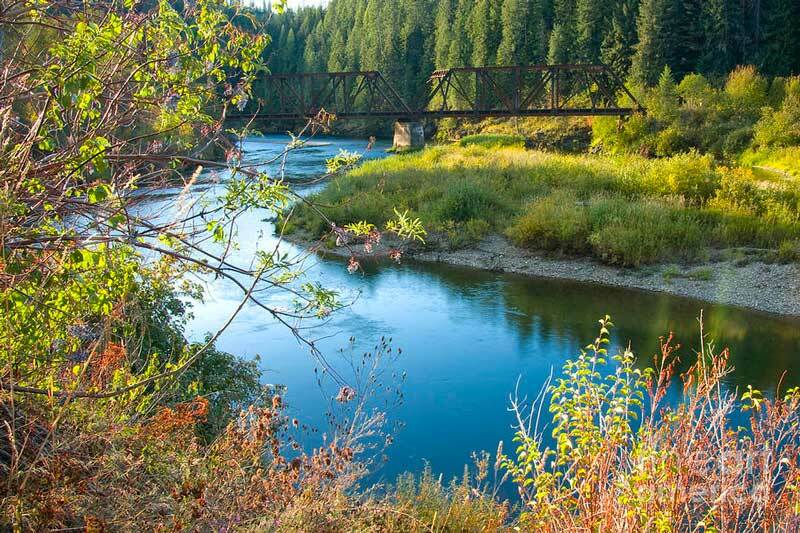 For the retiree, Idaho’s beauty is more then “skin deep” – we also offer low taxes and a low cost-of-living. With a state sales tax of only 6%, and a state income tax break for certain railroad, federal and military retirees – Idaho’s overall per capita taxes are the third lowest in the West, and the 12th lowest in the country. The Corporation for Enterprise Development ranked Idaho’s tax and fiscal system as the third best in the nation. Because of homeowner’s exemption, property tax rates are applied to 50% of the market value. Our utility rates are among the lowest in the nation. Idaho’s cost-of-living index number is 97.1, ranking second lowest of the eleven western states. Housing costs are moderate and affordable. Fairchild Air Force Base located in Spokane, Washington, 70 miles west of St. Maries. 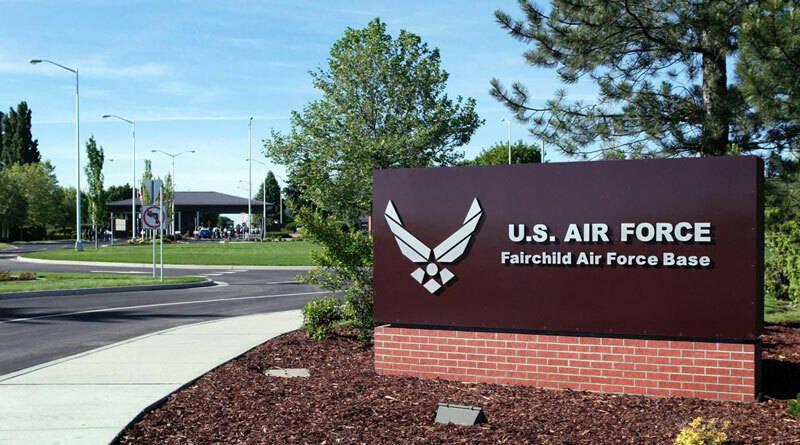 Fairchild is home to the USAF 92nd Air Refueling Wing and the Washington Air National Guard 141st Air Refueling Wing. Fairchild offers medical, commissary, a base-exchange mall, clubs and recreational facilities for the retiree. 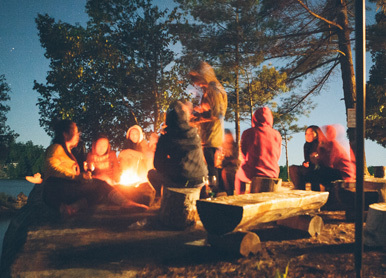 Camping facilities, including RV and boat rentals are available at nearby Clear Lake. The hospital-clinic offers medical and full pharmacy services plus a refill pharmacy is located at the commissary mall area. Retire Activities office 509-247-5349. Active retirement? Want to build that “Dream” business? Opportunities for creative entrepreneurship abound. Volunteer organizations provide ample soul – satisfying service and an avenue of immediate community involvement. 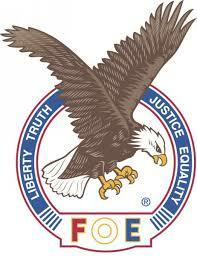 Retirees that demand a personal involvement in the community have found “open arms” in the following groups The local Eagles Aerie was established in 1913. Their lodge facilities were built in 1948 and serves as one of the primary meeting places for indoor gatherings in the city. The building has two large meeting areas and a pleasant lounge area. 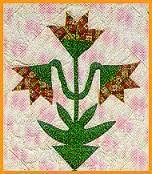 Combined Lodge and auxiliary membership is presently at 470. Volunteer opportunities are available for their numerous charitable benefits that they host for a variety of individuals and organizations. 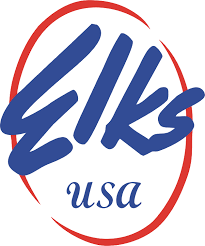 The Elks Lodge was built in 1924 and has a membership of 350. The lodge has one large meeting area and a smaller “fireside” area in the lounge area that is used for small gatherings. The Senior Citizens Center provides ongoing opportunities for seniors to participate in a variety of events including weekly lunches. 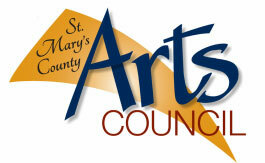 The St. Maries Art Council hosts the yearly smART in the Park festival. Volunteers also operate the local art gallery retail center inside The Paperhouse storefront. The yearly Paul Bunyan Logging Days event, held on Labor Day weekend, is the area’s main yearly celebration. The committee is entirely volunteers. The Discovery Channel ranked the Labor Day weekend firework display as the seventh best for small communities in the United States. Planning for the festival starts in January of each year. 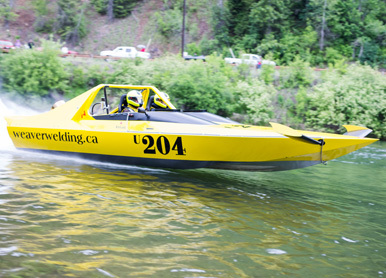 The St. Joe River Jet Boat Races on Memorial Day weekend is another volunteer opportunity. Planning for the races begins in January. The Benewah Community Hospital “Better Care” committee focuses on the “extra” needs that help make our local medical care system outstanding. A generous bequeath provided the funds needed to complete a new Humane Society building. It is manned by volunteers and sustained by local donations. For the more physical minded – volunteer opportunities exist in the local fire department, reserve police officers, search and rescue, sheriffs posse, and as ambulance EMTs. 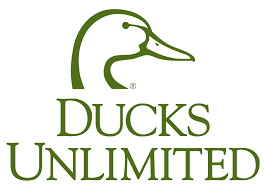 Car clubs, snowmobile groups, Ducks Unlimited – there’s a place for you!